AS IT STANDS: A Deadly Sound Strikes American Diplomats Again, is it Russia's Work? A Deadly Sound Strikes American Diplomats Again, is it Russia's Work? Someone has developed a new technological weapon that is baffling American authorities. This new weapon has been described as an "acoustic element" such as a "high-pitched beam of sound," or a "baffling sensation akin to driving with the windows partially open in a car." The weapon appears to have premiered in Cuba where numerous diplomats have suffered "acoustic element" injuries over the last year. Cuba has denied doing it. Victims experience ear pain, headaches, ringing in one ear, vertigo, disorientation, attention issues and signs consistent with mild traumatic brain injury or a concussion. 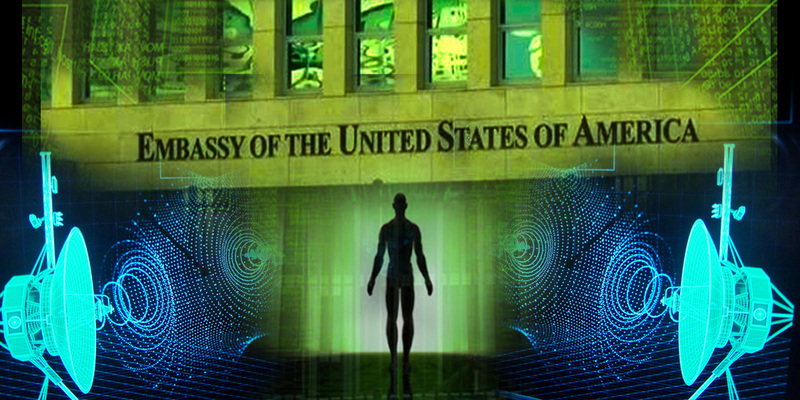 Yesterday a report was released regarding an incident involving a US government employee stationed in China who reported "abnormal sensations of sound and pressure" suggesting a mild brain injury. US officials have said the China incident is "entirely consistent" to those experienced by American diplomats posted in Havana. Thus far officials have issued a health alert in China. There's very little public speculation on who is conducting these sonic attacks. That troubles me. It either means we have no idea of who is orchestrating these sonic attacks, or we've discovered Russia has a new weapon, and we don't want to admit it for security reasons. I strongly suspect the culprit is Russia. They easily could have been the bad actor in both cases. Causing dissent between other countries and America is a primary goal of Putin. We saw that in the 2016 election. It'll be interesting to see how this plays out with trade negotiations, and talks about North Korea with, China.